My student noticed that the scapulae, humeri, and tibiae were mis-sided and not laid out in anatomical position. Surely, she thought, Reichs would not post a picture of herself with bones in weird positions. I harp on this in class all the time: lay out the bones in anatomical position. They have to be as close as you can get to anatomical position. So, who needs an osteologist today? 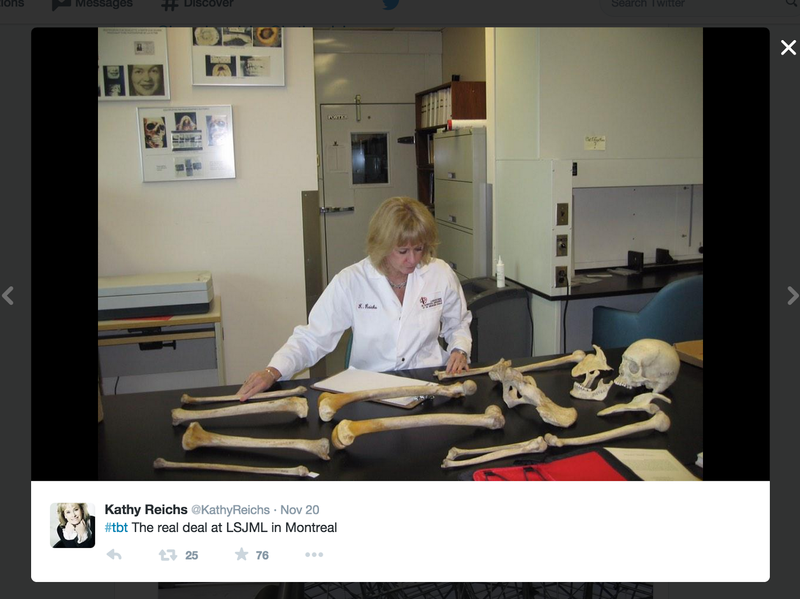 Apparently Kathy Reichs does. *Full disclaimer -- as much as I rag on Bones in my reviews, I am a huge fan of Reichs and especially her book series (which is way, way better forensically than the TV show). And thanks to Jennifer Waters for pointing this out - A+ osteological work! plus, she has not laid them out on any protective table covering.